Does your old carpeting need an upgrade? Booking a free carpet estimate with us is the best way to get the new carpet installation you have been looking for. Buying new carpeting is a big investment, and we want to make sure you get the best bang for your buck. Our goal is to provide you with the new carpet you want at prices that are fair and affordable. We carry the best types of carpet available, and they are directly purchased from the manufacturers themselves. 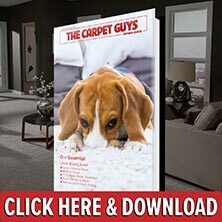 A new carpet installation from The Carpet Guys gets you new flooring that will look good and feel great for years to come. Let us be your one-stop carpet shop for all your flooring needs. As the best carpet dealer in Saline, we have what it takes to get your job done right. Plush Carpet – To complete your formal and classy style, our velvet-like plush carpeting in the best choice. Enjoy the rich comfort it has to offer. Frieze Carpet – Our frieze carpeting is the best choice for any room with a casual and informal look. Add some personality to your rooms with this tightly twisted style. Berber Carpet – Does your home experience a lot of foot traffic throughout the day? Our berber is durable and will keep your floors looking good despite the abuse. Looped Carpet – Add a little extra interest underfoot with our multi-leveled looped carpeting. It comes in multiple patterns and colors. Get your new floors installed by the best carpet company in Saline. Schedule your free estimate with The Carpet Guys and get started.